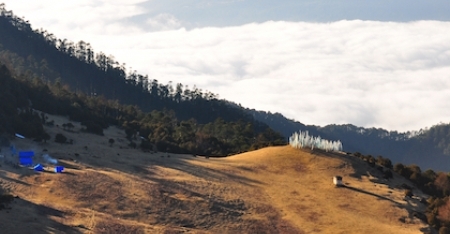 Experience Bhutan’s Druk Path Trek. From bucolic blue pine, fir and thick alpine forests and dwarfed rhododendron trees to sparkling high-altitude lakes and steep valleys nestled beneath Himalayan peaks. Trek through alpine meadows, pass by nomadic yak herders, soak up the dramatic terrain and discover some stunning monasteries along the way. Rest and relax in canvas luxury while on your trek and in our hand-picked selection of intimate, luxury sanctuaries as you explore Bhutan’s towns and monasteries. 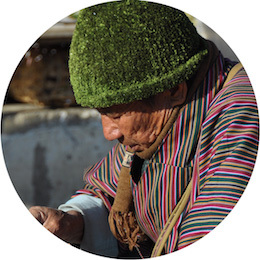 Experience the incredible beauty of Bhutan’s Druk Path Trek, as you discover ancient cliffside monasteries, dwarf rhododendron forests, and follow the trails of nomadic yak herders. Spend each night in your deluxe mobile camp where cottage tents, delicious meals and warm Bhutanese service accentuate your deluxe trekking experience. 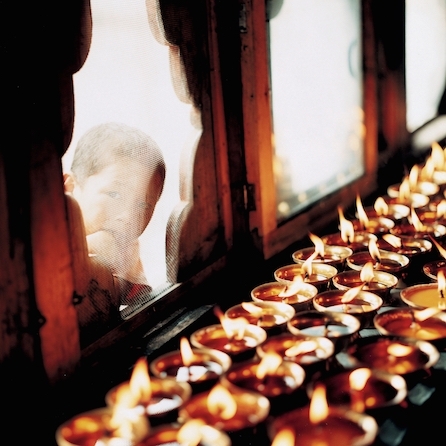 Bhutan’s mix of ancient temples, crimson-robed monks and breathtaking vistas of snow-capped mountains make for an intoxicating experience - especially discovered on foot. 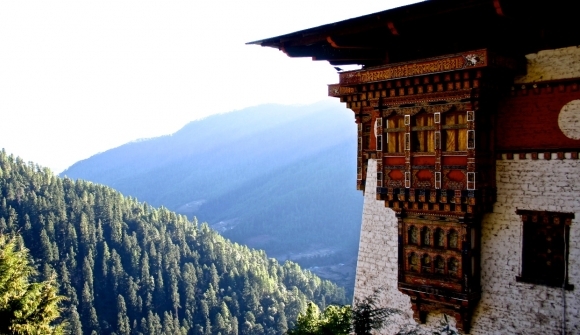 Bhutan’s stunning Paro Valley and the charming towns of Paro and Thimphu paint some of Bhutan’s prettiest pictures. Taking scenic rural backroads and quiet mountain paths allows you to soak up Bhutan’s ancient culture and its magical scenery. 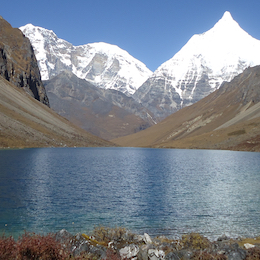 Soak up spectacular mountain vistas and valley views as you pass by sparkling high-altitude lakes, nestled underneath dramatic Himalayan peaks, and nomadic yak herds and their camps, before eventually arriving at the sacred Lake Jimilangtsho at 3,880 metres. 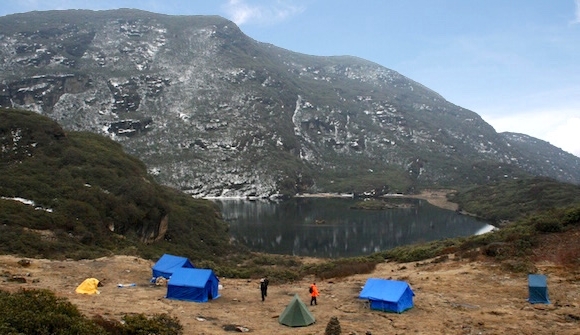 Continue trekking through forests of dwarf rhododendron trees, traversing ridges and passing by scattered alpine lakes before reaching your deluxe campsite at Lake Simkota Tsho at 4,100 metres. Upon arriving at Paro, you’ll be treated to a traditional Bhutanese welcome before transferring to your luxury mountain lodge. 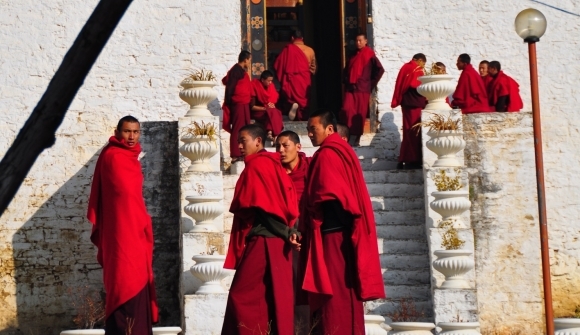 Explore the breathtaking Paro Valley and ancient Paro Dzong - an enchanting mix of crimson-robed monks, centuries-old whitewashed fortresses and men and women in colourful dress. After enjoying a delicious breakfast, your private luxury transfer brings you to the starting point for your trek. 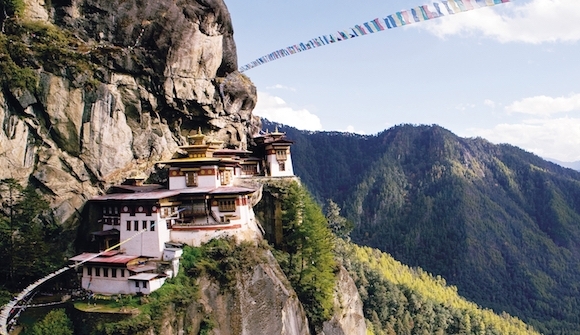 Making an ascent along switchback trails shaded by hemlock trees along the way, you cross small streams and pass water prayer wheels until the golden roof of the fabled Tiger’s Nest comes into view. Framed against the face of a sheer 1,000 metre granite cliff, explore its numerous temples and meditation caves. 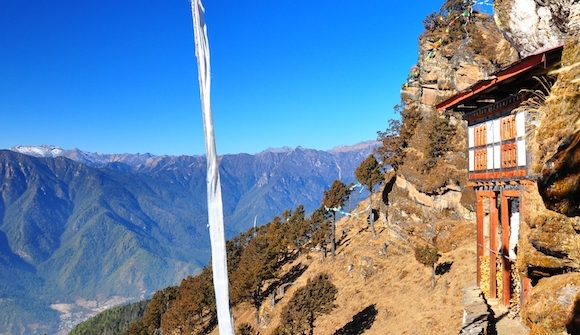 Have your prayer flags blessed by the resident monk before continuing your descent back down to the Paro Valley and returning to the sanctuary of your mountain lodge. Setting out on a breathtaking drive to the Cheli La Pass at 3,810 metres, you are greeted by views to the magnificent snowcapped Mount Jhomolhari and the Haa Valley below, before hopping on your bikes to begin your freewheel glide down the pass. 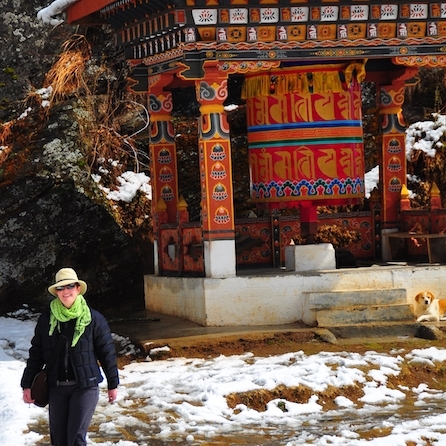 You break your ride at Kila Nunnery – a 9th century nunnery’s temples and scattered meditation huts carved into the cliffside - before continuing your freewheel back to Paro town. 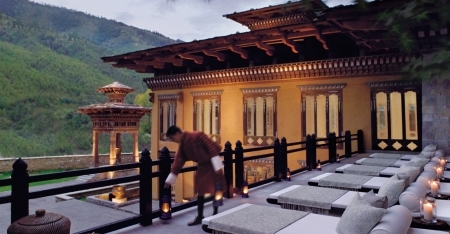 Indulge in a traditional Bhutanese hot stone bath, explore the surrounding forests and enjoy dinner in the company of spectacular views of the Paro Valley. 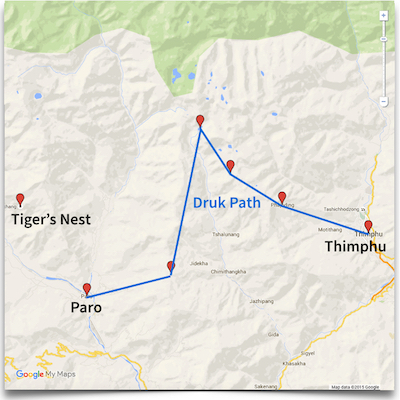 After breakfast, your private luxury transfer brings you to Paro’s National Museum and your starting point for the Druk Path Trek. Passing by farmhouses, small villages and picturesque apple orchards, a combination of steep and gradual climbs leads you to Jele Dzong temple at 3,570 metres. Over a gourmet lunch savour the superb views of Paro Valley below, before you continue trekking to reach your overnight deluxe campsite at 3,480 metres. Begin your day with a short climb back up to Jele La Pass at 3,560 metres and a visit to the remote monastery, Jele Dzong. Trekking through rhododendron forests admire the goddess of mountains, imposing Mount Jhomolhari, in the distance. Breaking for refreshments and lunch along the way, cross a small peak before reaching your deluxe campsite for the night at either Jangchu Lakha at 3,770 metres or Tshokam at 3,962 metres. Crossing two small passes today soak up the views of spectacular mountain vistas and valleys as you pass by beautiful high altitude lakes, and nomadic yak herds and their camps, before eventually arriving at the sacred Lake Jimilangtsho at 3,880 metres. Breaking for refreshments and lunch along the way, continue trekking through forests of dwarf rhododendron trees, traversing ridges and passing by scattered alpine lakes. Tonight rest your head at your deluxe campsite for the night at Lake Simkotra Tsho at 4,100 metres. With an early start this morning, today you cross over a small number of passes and traverse a ridge with views to the ancient Phajoding Monastery below. 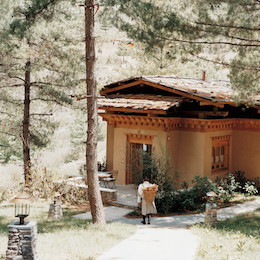 Stunningly perched on the mountainside, the monastery is home to a small monk body and Bhutanese meditation centre. 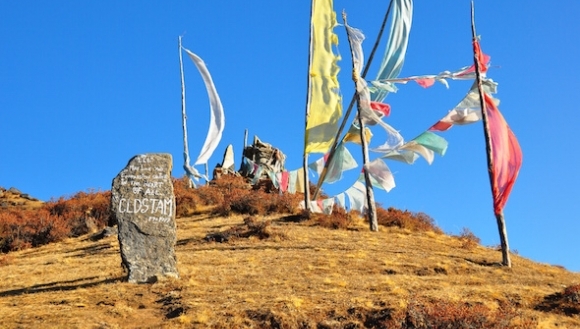 Enjoy a gourmet lunch in the company of extraordinary views, then continue trekking until you reach a collection of colourful prayer flags marking an ancient Tibetan sky-burial site. 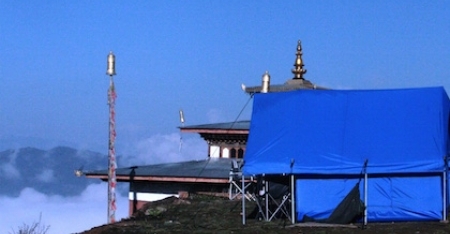 Your deluxe campsite in the grounds of the remote Phajoding Monastery is waiting. 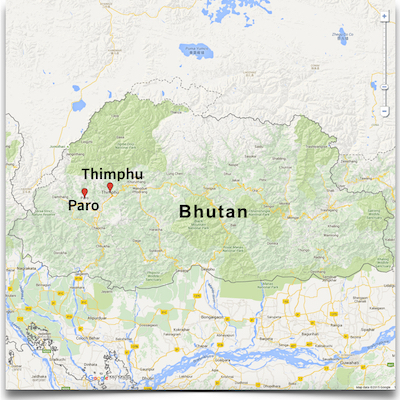 The last day of your trek brings you into the capital of Bhutan, Thimphu. Descending deep into bamboo forests, trek down to a picturesque river bank to enjoy a riverside lunch before your luxury transfer returns you to Thimphu and your luxury mountain lodge for the next two nights. 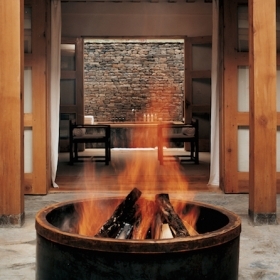 Indulge in a traditional Bhutanese hot stone bath or curl up with a book by the fire, rest and relax. After a relaxed start to the day, explore one of the world’s most enigmatic capital cities - an enchanting mix of crimson-robed monks, centuries-old whitewashed fortresses and men and women in colourful dress. Discover the 169 foot Buddah Dordenma sitting high above the Thimphu Valley, explore the striking National Memorial Chorten and wander Thimphu’s small laneways exploring local teashops and handicraft emporiums displaying some of Bhutan’s most intricate hand-loomed textiles. Enjoy your breakfast and soak up the mountain views one last time, before your private luxury transfer returns you to Paro International Airport. 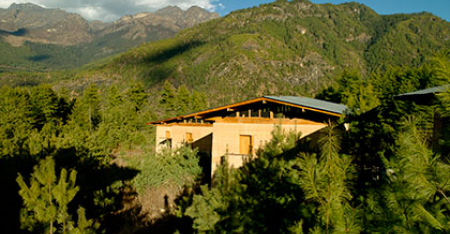 Situated deep in the remote Paro Valley and surrounded by the beautiful ruins of 17th century Drukgyel Dzong, Amankora Paro makes for the ultimate mountain sanctuary. 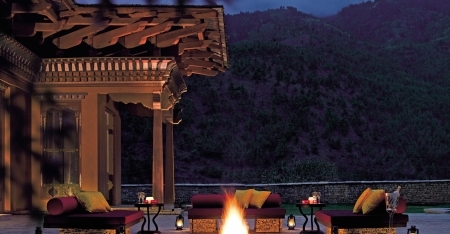 Retreat to the outdoor lounge, enjoy a warmed rum and cinnamon aperitif by the bonfire, and soak up the uninterrupted views of spectacular Mount Chomolhari. 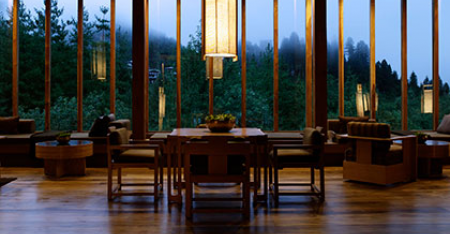 Originally owned by a Bhutanese nobleman, the property is now home to one of Bhutan’s most exciting retreats. 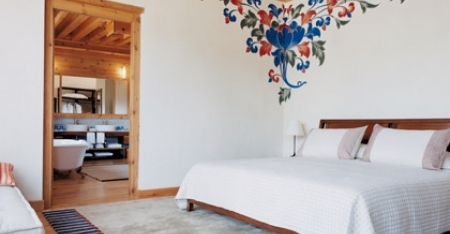 With sweeping views of the Paro Valley, the retreat with its striking whitewashed walls, shingle roofs and hand-painted decorations, is an elegant example of traditional Bhutanese architectural style. 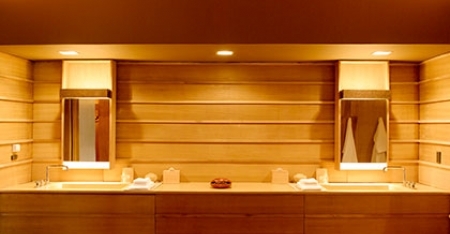 Stylish and serene, enjoy the world-class dining, a renowned spa and warm Bhutanese hospitality. Set up in different locations on most days, our deluxe mobile camp features cottage tents with twin camp beds, duvets, wooden washbasins, handmade Bhutanese rugs and an outdoor seating area, and offers a comfortable trekking experience in one of the world’s most remote locations. 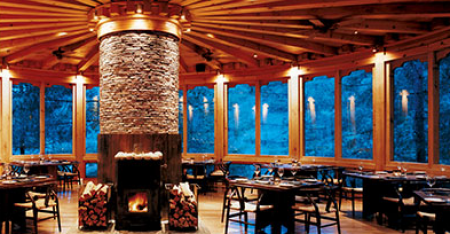 Delicious meals and warm Bhutanese service round out the ultimate deluxe trekking experience. 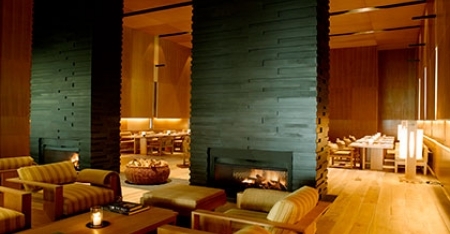 Nestled within a pristine blue-pine forest and overlooking a mountain stream, this elegant haven provides the perfect base from which to explore the capital Thimphu. 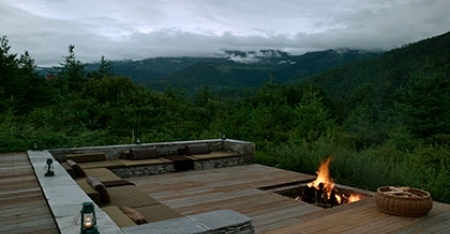 Complete with traditional bukhari fireplace, oversized rooms, lavish bathrooms and daybeds, soak up the stunning views of the forest and relax in style. 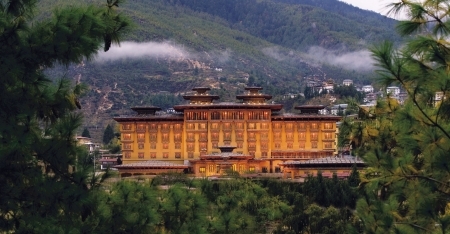 Located in the heart of Bhutan’s capital, this elegant hotel is a reflection of traditional Bhutanese architectural style, with its saffron walls and hand-painted motifs. 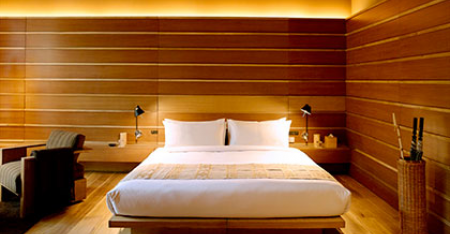 Retreat at day’s end to this chic haven complete with oversized rooms, luxurious furnishings and cushioned daybeds to take in the surrounding views of the town and stunning Himalayas. 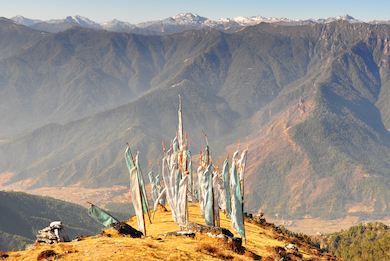 Traverse a ridge with views to Phajoding Monastery, stunningly perched on the mountainside, below before reaching a collection of colourful prayer flags marking an ancient Tibetan sky-burial site.